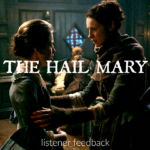 A Podcast dedicated to the show Outlander on Starz. 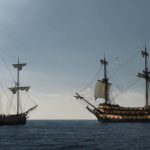 Join hosts Mary and Blake as they discuss the previous week's episode, Outlander news and spoilers, as much Listener Feedback as humanly possible, theories, and their favorite moments from the show. 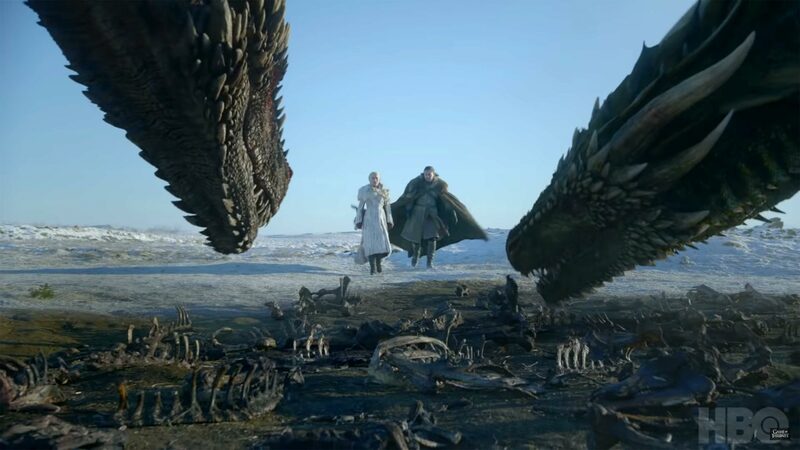 The post BONUS EPISODE: The North Remembers – Game Of Thrones Season 8 Trailer Reaction and Analysis appeared first on Outlander Cast. 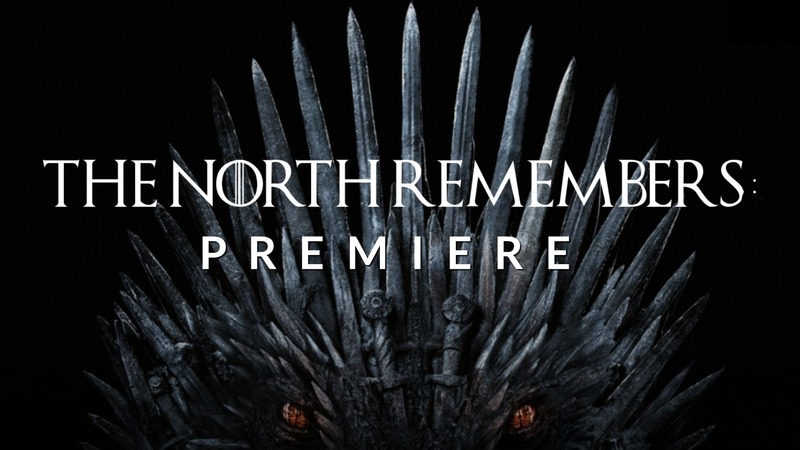 The post BONUS EPISODE: The North Remembers – Premiere appeared first on Outlander Cast. 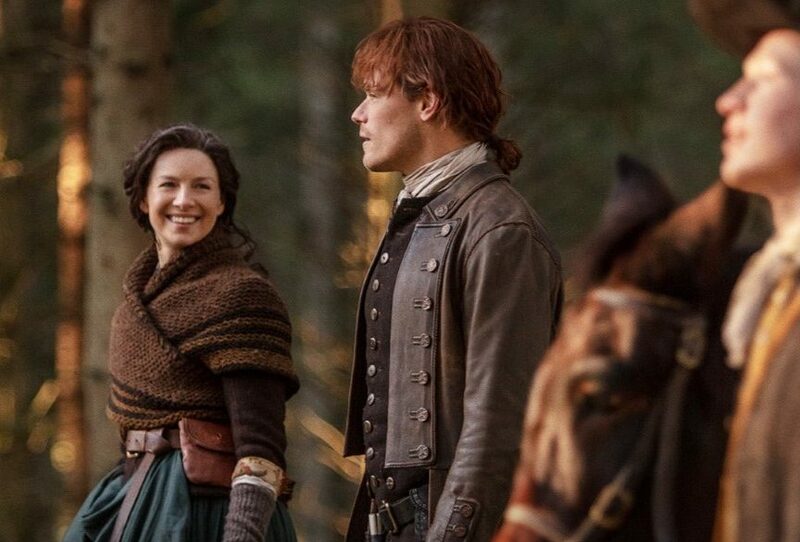 The post Outlander Cast: Top Five Moments From Season 4 appeared first on Outlander Cast. 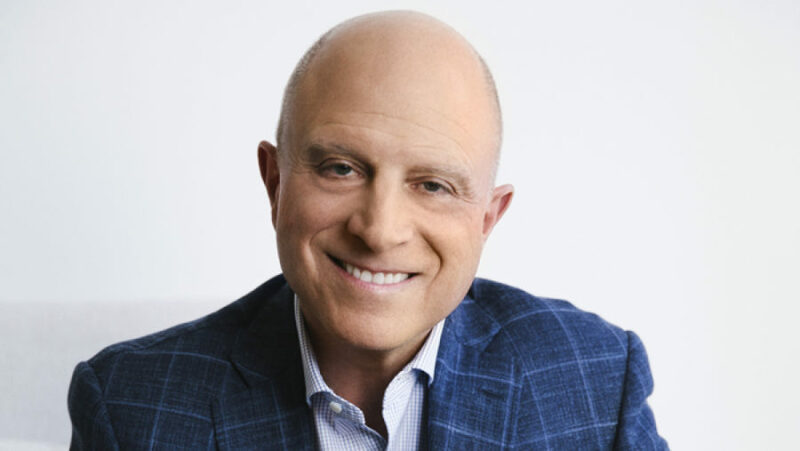 The post Outlander Cast: The Departure Of STARZ CEO Chris Albrecht And The Future Effects On Outlander appeared first on Outlander Cast. 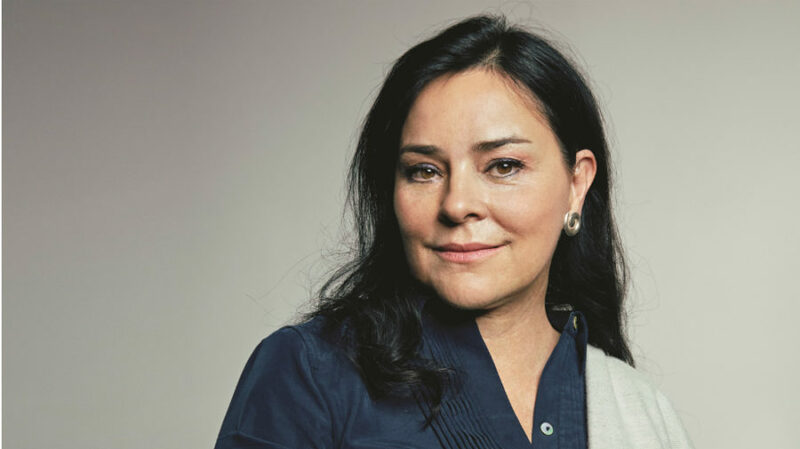 The post Outlander Cast Chats About Season 4 w/Outlander Author Diana Gabaldon appeared first on Outlander Cast. 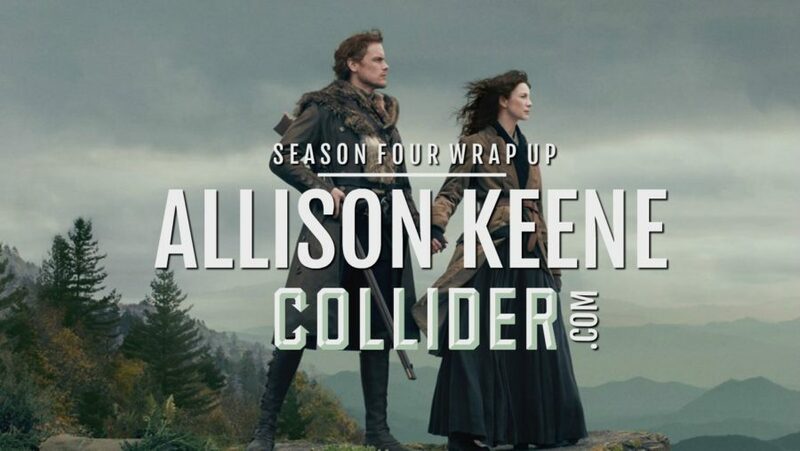 The post Outlander Cast: Season Four Wrap Up w/ Chief TV Critic/Editor of COLLIDER.COM – Allison Keene appeared first on Outlander Cast. 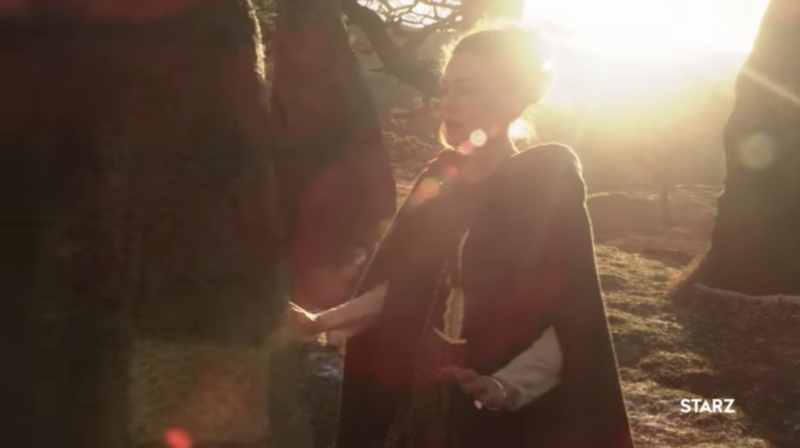 The post Outlander Cast Chats w/Outlander Actress: Sera-Lys McArthur (Johiehon) appeared first on Outlander Cast. 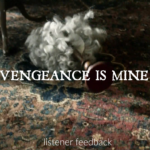 The post Outlander Cast: Providence – Listener Feedback appeared first on Outlander Cast. 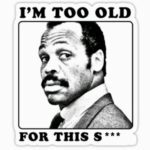 The post Outlander Cast: Providence appeared first on Outlander Cast. 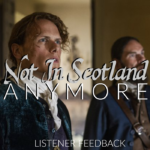 The post Outlander Cast: If Not For Hope – Listener Feedback appeared first on Outlander Cast. 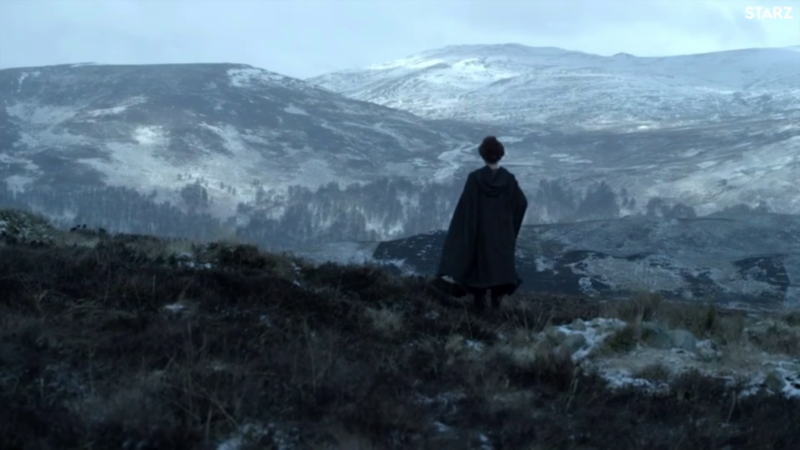 The post Outlander Cast: If Not For Hope appeared first on Outlander Cast. The post Outlander Cast: The Deep Heart’s Core – Listener Feedback appeared first on Outlander Cast. 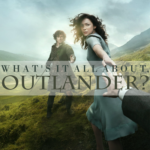 The post Outlander Cast: The Deep Heart’s Core appeared first on Outlander Cast. 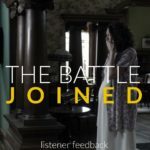 The post Outlander Cast: The Birds & The Bees – Listener Feedback appeared first on Outlander Cast. 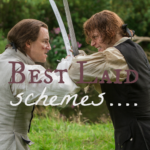 The post Outlander Cast: The Birds & The Bees appeared first on Outlander Cast. 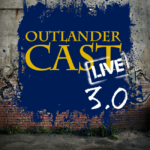 The post Outlander Cast: Wilmington – Listener Feedback appeared first on Outlander Cast. 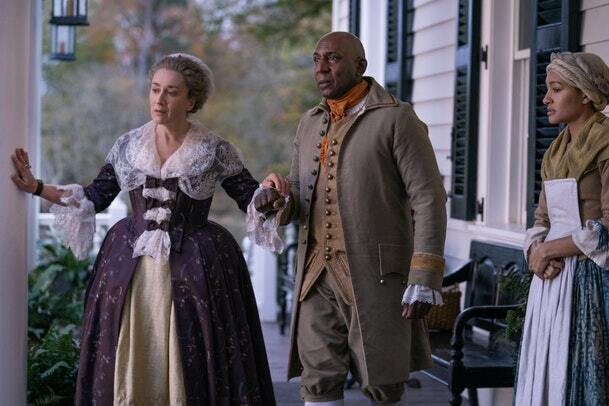 The post Outlander Cast: Wilmington appeared first on Outlander Cast. 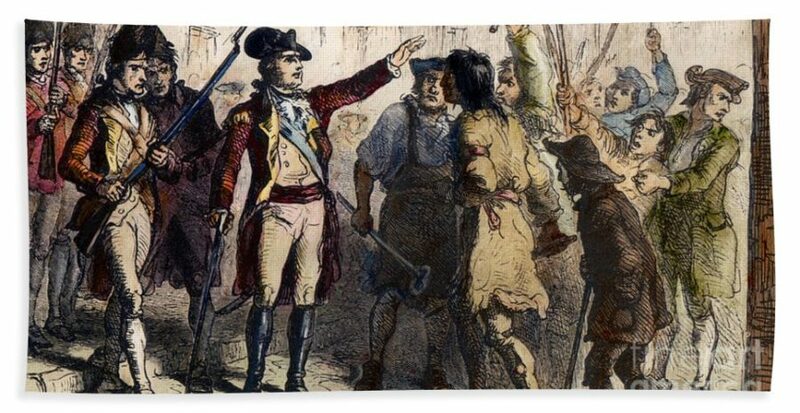 The post Outlander Cast: The War Of Regulation History Lesson appeared first on Outlander Cast. 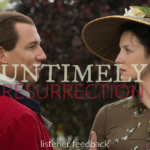 The post Outlander Cast: Down The Rabbit Hole – Listener Feedback appeared first on Outlander Cast. 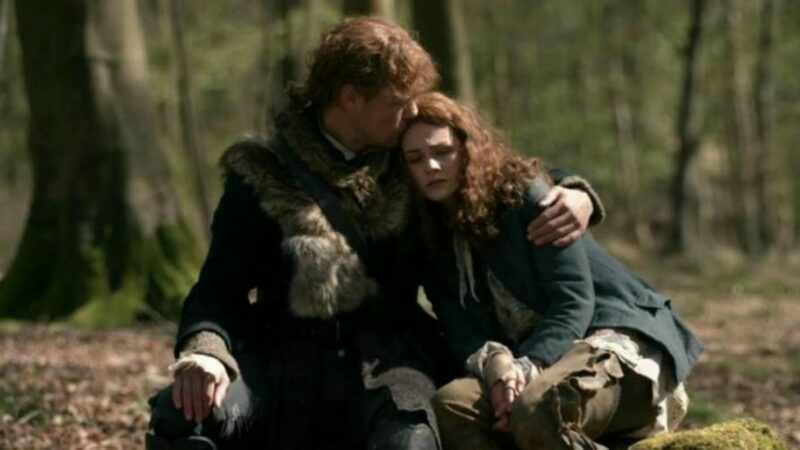 The post Outlander Cast: Down The Rabbit Hole appeared first on Outlander Cast. 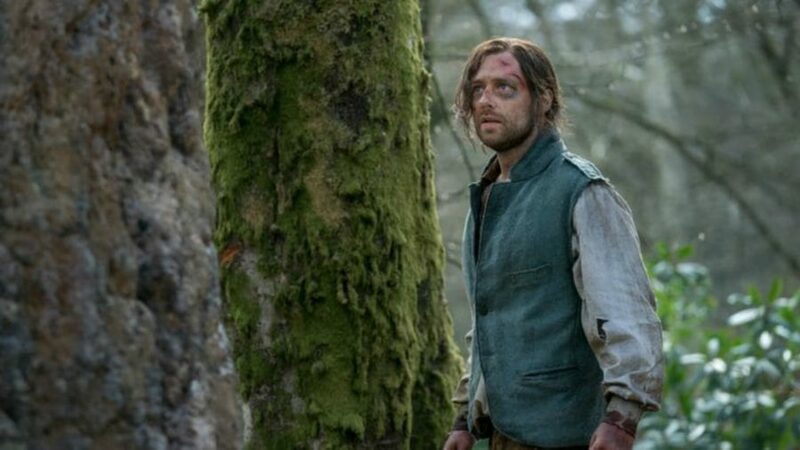 The post Outlander Cast: Blood Of My Blood – Listener Feedback appeared first on Outlander Cast. 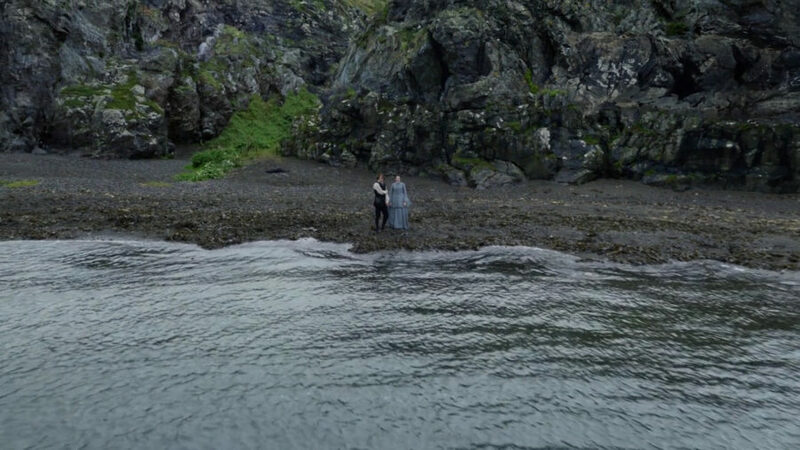 The post Outlander Cast: Blood Of My Blood appeared first on Outlander Cast. 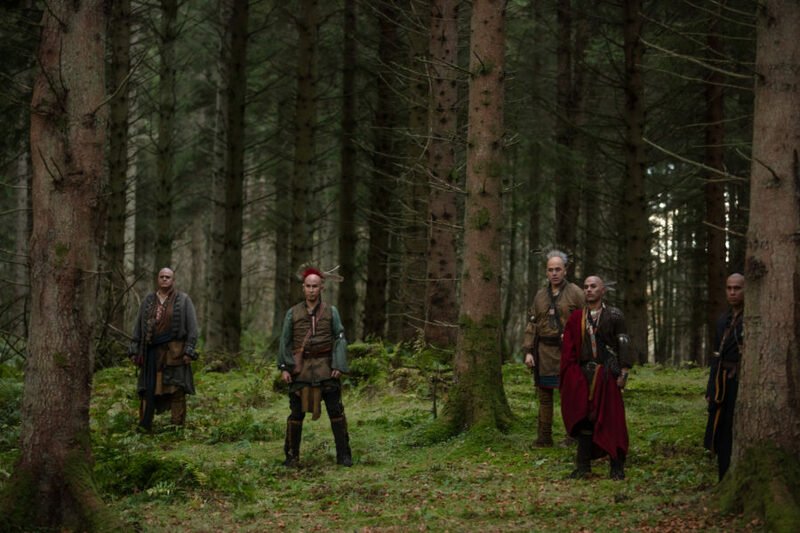 The post Outlander Cast: Savages – Listener Feedback appeared first on Outlander Cast. 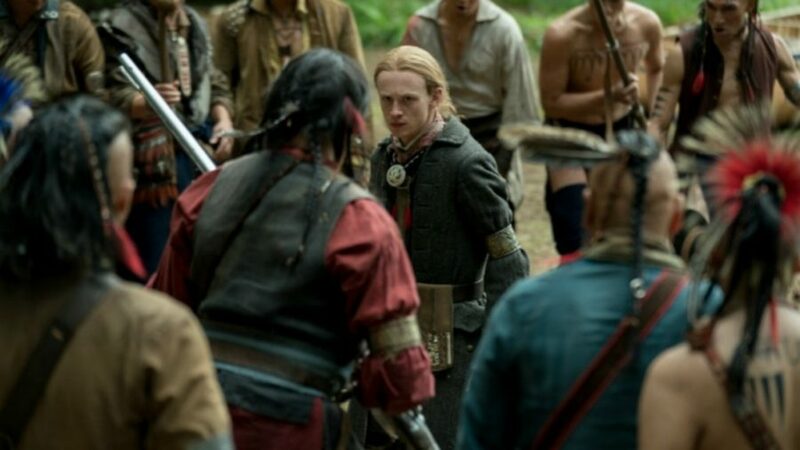 The post Outlander Cast: Savages appeared first on Outlander Cast. 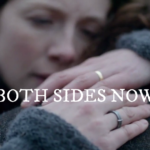 The post Outlander Cast: Common Ground appeared first on Outlander Cast. 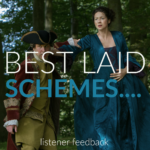 The post Outlander Cast: The False Bride – Listener Feedback appeared first on Outlander Cast. 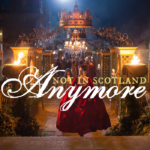 The post Outlander Cast: The False Bride appeared first on Outlander Cast. 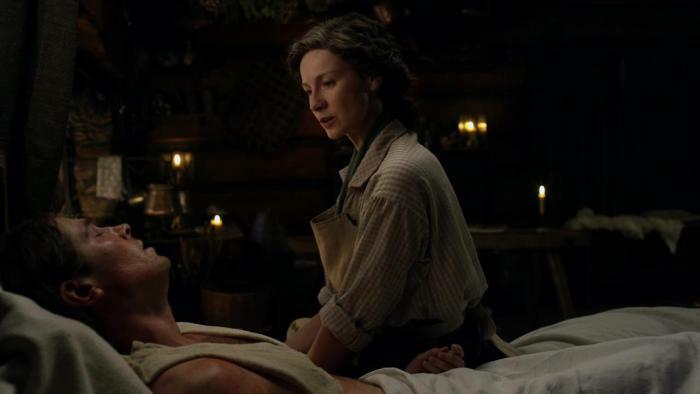 The post Outlander Cast: Do No Harm – Listener Feedback appeared first on Outlander Cast. 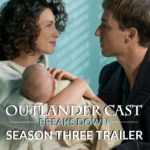 The post Outlander Cast: Do No Harm appeared first on Outlander Cast. 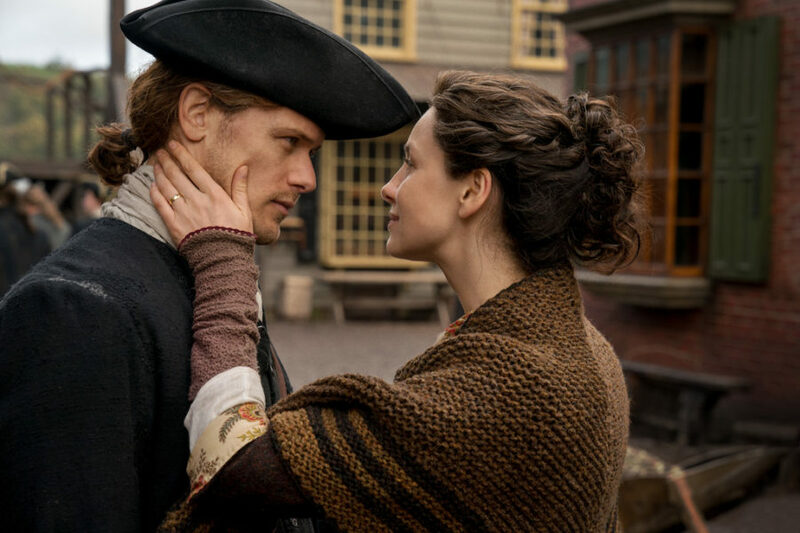 The post Outlander Cast: America The Beautiful – Listener Feedback appeared first on Outlander Cast. 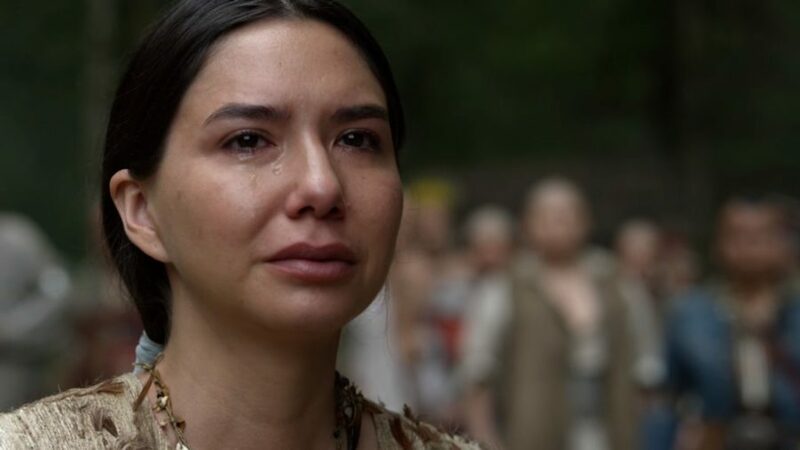 The post Seeing Outlander: Behind the Scenes in Outlander Episode 401, “America the Beautiful” appeared first on Outlander Cast. 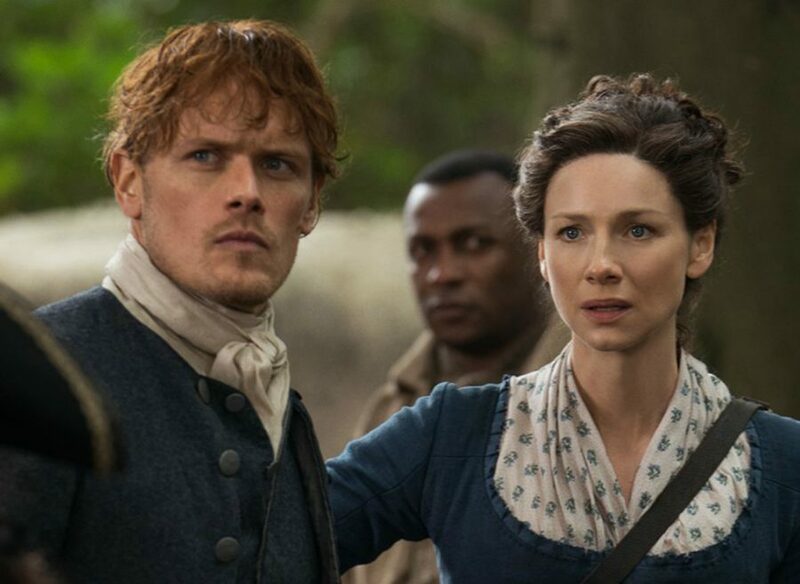 The post Outlander Cast: Season 4 Premiere – America The Beautiful appeared first on Outlander Cast. 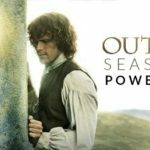 The post Outlander Cast Season 4 Preview with EW Writer – Lynette Rice appeared first on Outlander Cast. 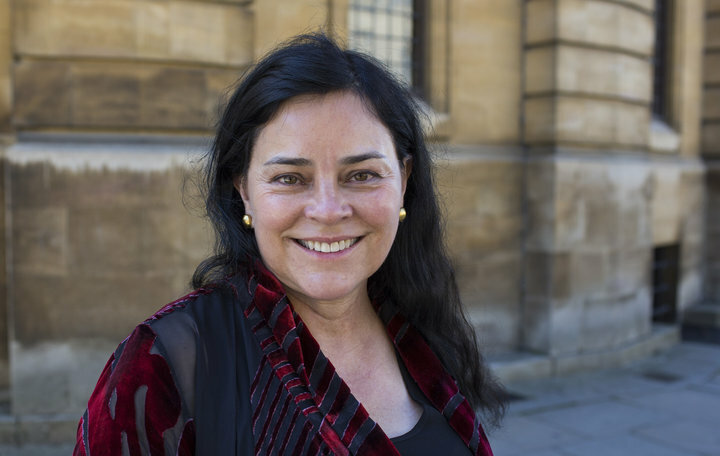 The post Outlander Cast Chats with Outlander Author – Diana Gabaldon appeared first on Outlander Cast. 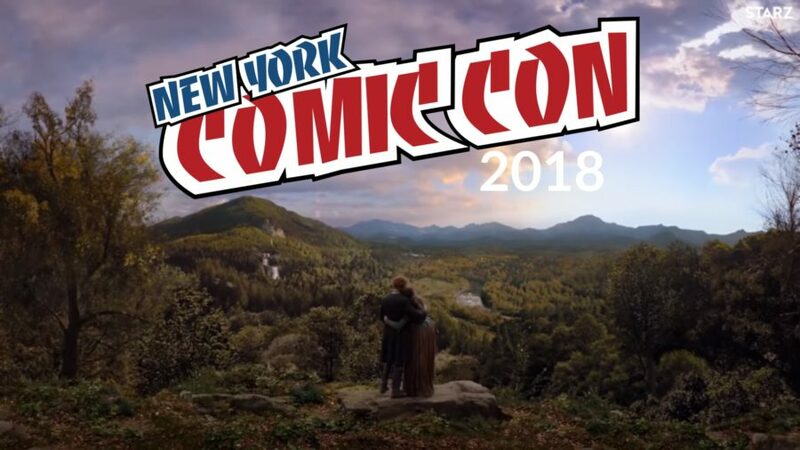 The post Outlander Cast: Review Of New York Comic Con and NON SPOILER Reactions To The Season 4 Premiere “America The Beautiful” appeared first on Outlander Cast. 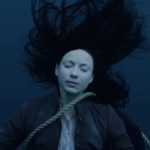 The post Outlander Cast: Season 4 Trailer Analysis and Reactions appeared first on Outlander Cast. 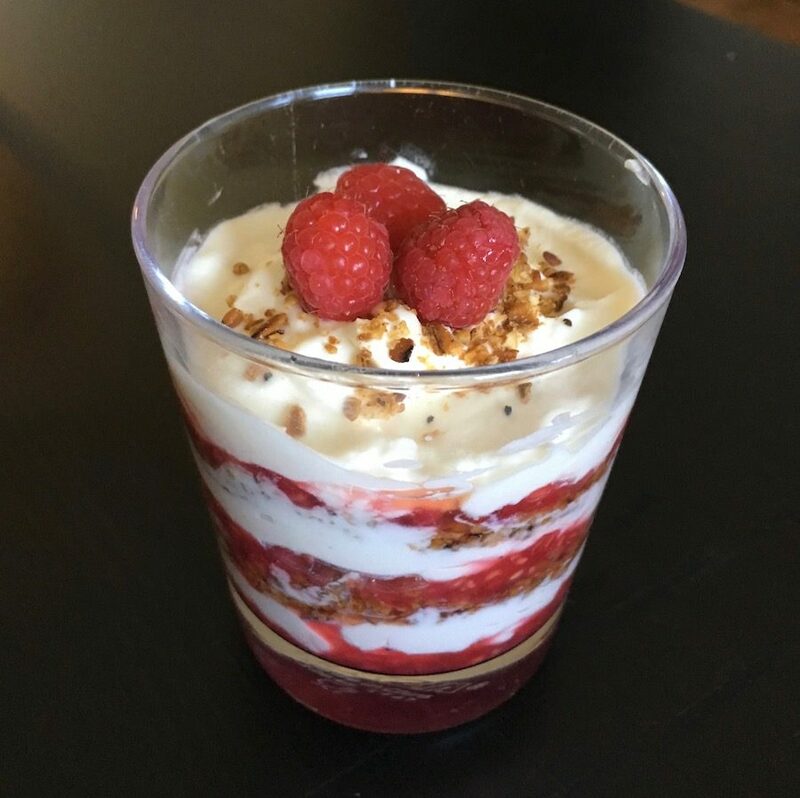 The post How They Made It: Making Cranachan with Mrs. Graham appeared first on Outlander Cast. 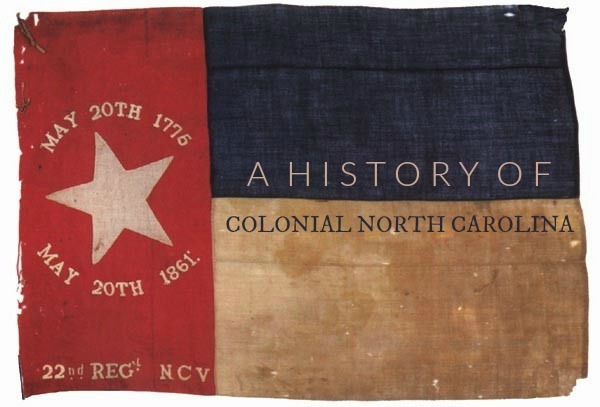 The post Outlander Cast: Colonial North Carolina History Lesson appeared first on Outlander Cast. 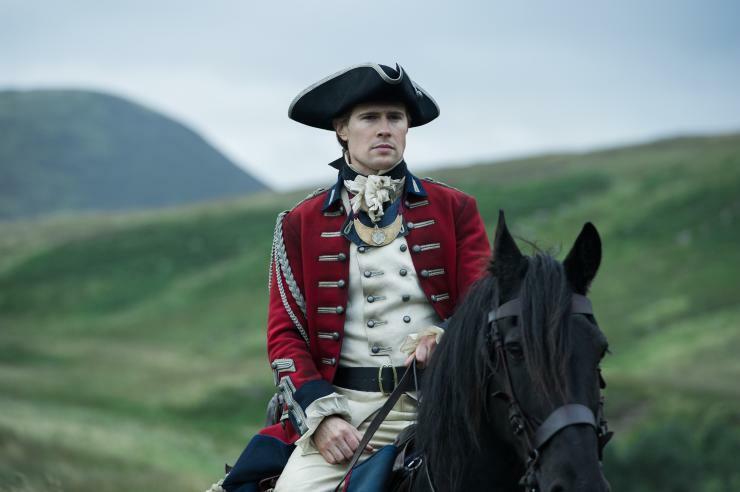 The post Outlander Cast: A Brief Chat With David Berry (Lord John Grey) + Speculation For His Role In Season 4 appeared first on Outlander Cast. 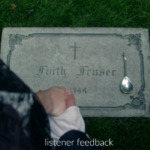 The post The Missing Piece Of Outlander appeared first on Outlander Cast. 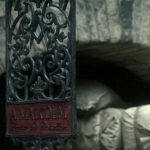 The post How They Made It: Baking Bannocks in Outlander at Castle Leoch appeared first on Outlander Cast. 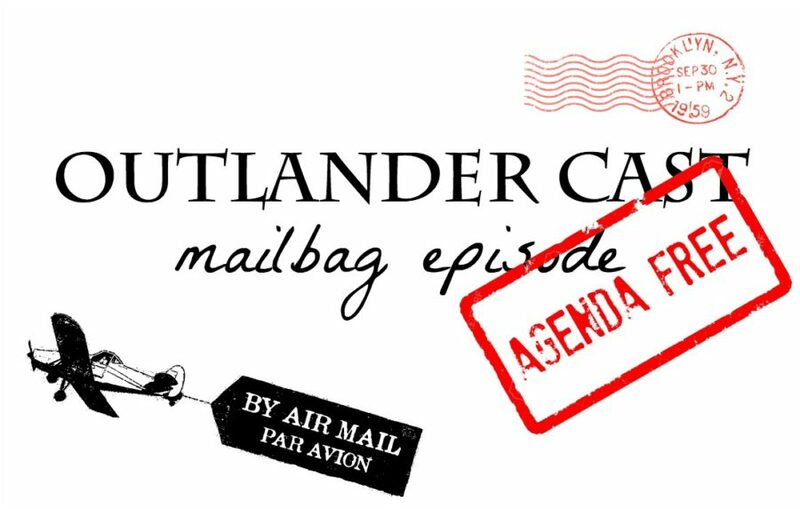 The post Outlander Cast: Agenda Free Mailbag Episode 1 appeared first on Outlander Cast. 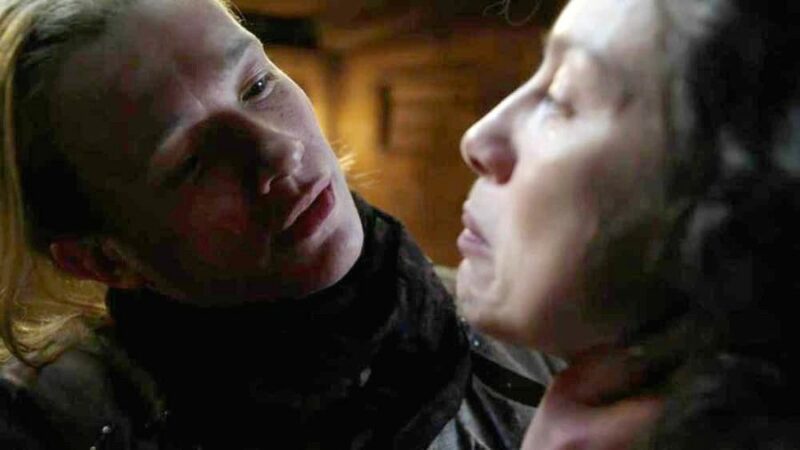 The post Outlander Cast: Our Top 5 Favorite Moments From Season 3 appeared first on Outlander Cast. 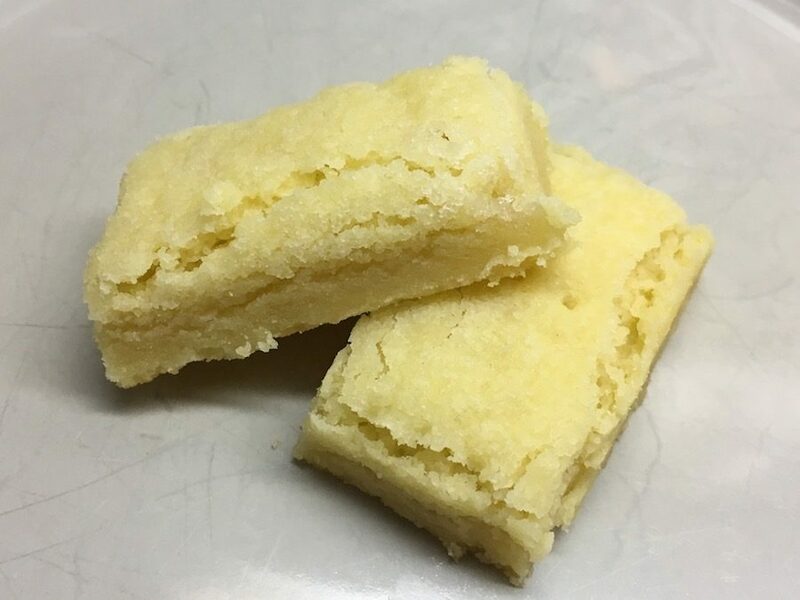 The post How They Made It: Baking Short Crust Pastry at Lallybroch appeared first on Outlander Cast. 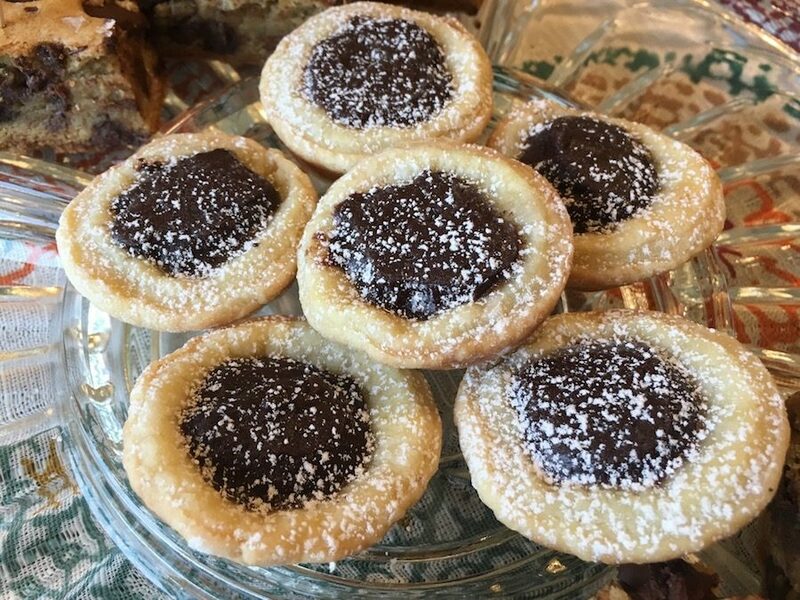 The post How They Made It: Parisian Baking in Outlander appeared first on Outlander Cast. The post How They Made it: Drinking Colum’s Rhenish in the Great Hall appeared first on Outlander Cast. 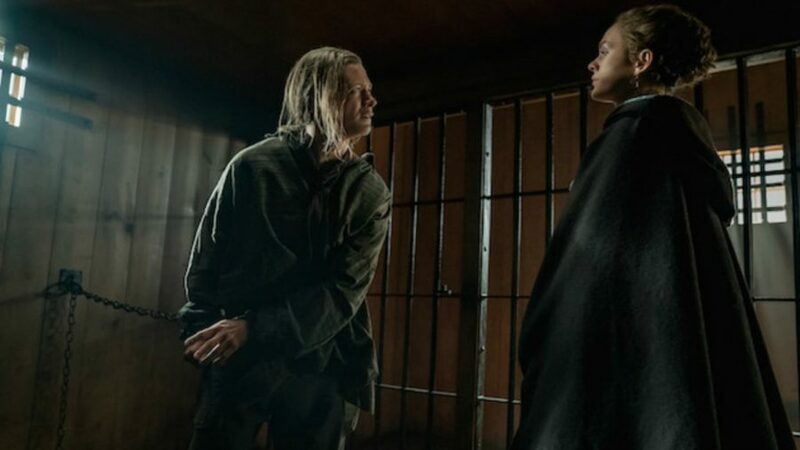 The post Blake’s Book Club: Chaptah 25 – Thou Shall Not Suffer A Witch To Live (Free Preview) appeared first on Outlander Cast. 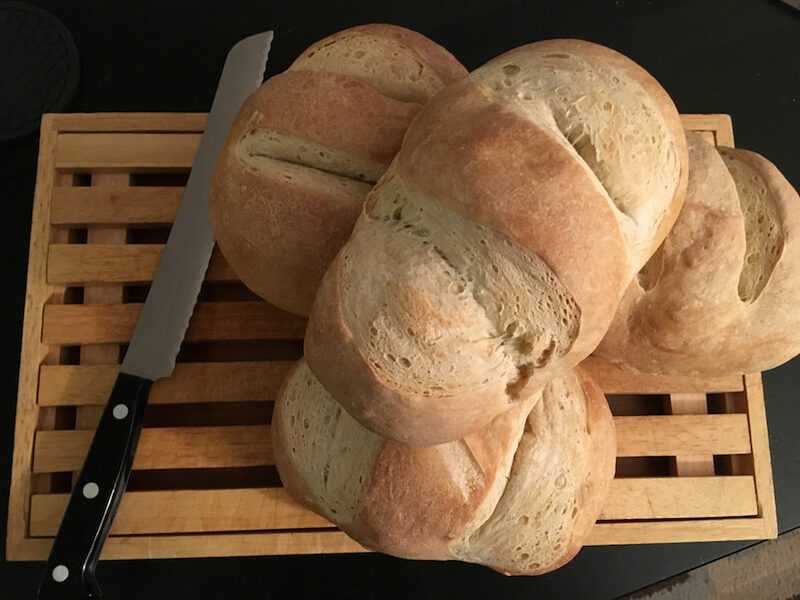 The post How They Made it: Bread Baking at Lallybroch appeared first on Outlander Cast. 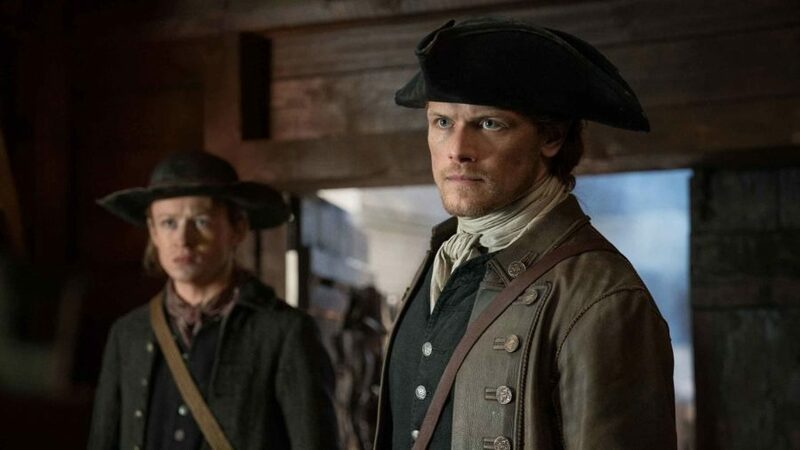 The post Outlander Cast: Season Three Wrap Up w/ Chief TV Critic/Editor of COLLIDER.COM – Allison Keene – Episode 113 appeared first on Outlander Cast. The post Outlander Cast: Eye Of The Storm – Listener Feedback – Episode 112 appeared first on Outlander Cast. 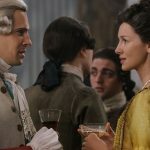 The post Outlander Cast: LIVE From The #OutlanderFinaleParty – Eye Of The Storm – Episode 111 appeared first on Outlander Cast. The post Outlander Cast: The Bakra- Listener Feedback – Episode 110 appeared first on Outlander Cast. The post Outlander Cast: The Bakra – Episode 109 appeared first on Outlander Cast. The post Outlander Cast: Uncharted- Listener Feedback – Episode 108 appeared first on Outlander Cast. The post Outlander Cast: Uncharted – Episode 107 appeared first on Outlander Cast. 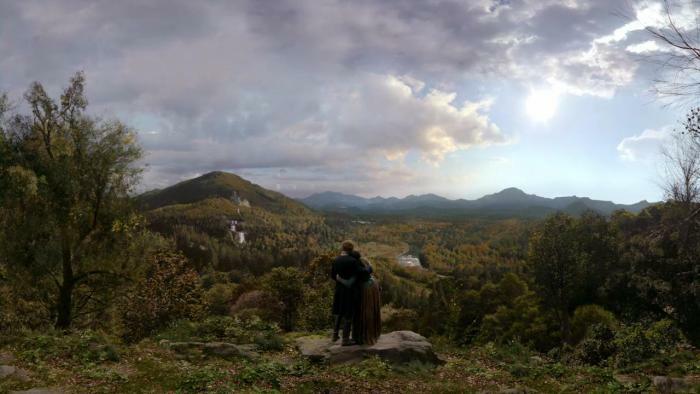 The post Outlander Cast: Heaven And Earth – Listener Feedback – Episode 106 appeared first on Outlander Cast. The post Outlander Cast: Heaven And Earth – Episode 105 appeared first on Outlander Cast. 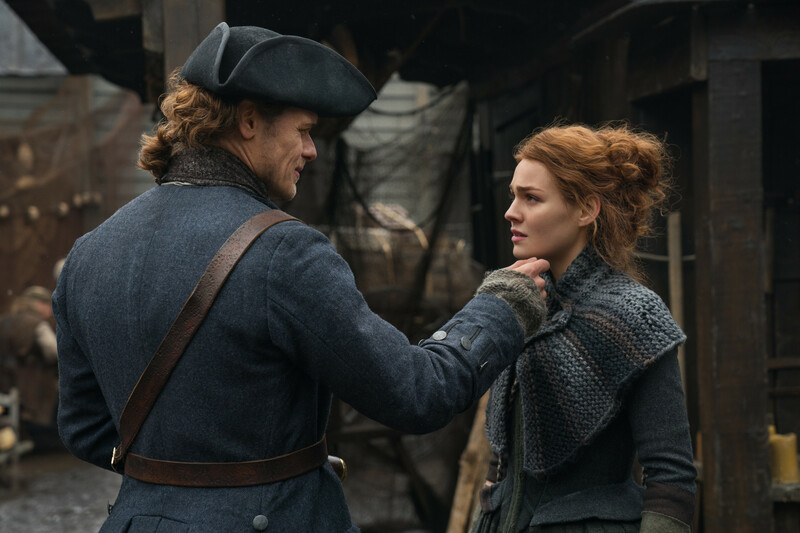 The post Outlander Cast: The Doldrums – Listener Feedback – Episode 104 appeared first on Outlander Cast. 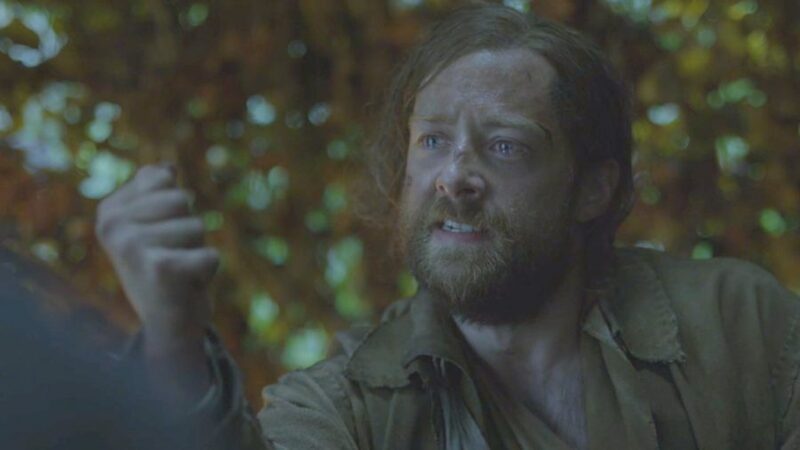 The post Outlander Cast: The Doldrums – Episode 103 appeared first on Outlander Cast. The post Outlander Cast: First Wife – Listener Feedback – Episode 102 appeared first on Outlander Cast. The post Outlander Cast: First Wife – Episode 101 appeared first on Outlander Cast. The post Outlander Cast: Crème de Menthe – Episode 100 appeared first on Outlander Cast. The post Outlander Cast: A. Malcolm – Listener Feedback – Episode 99 appeared first on Outlander Cast. 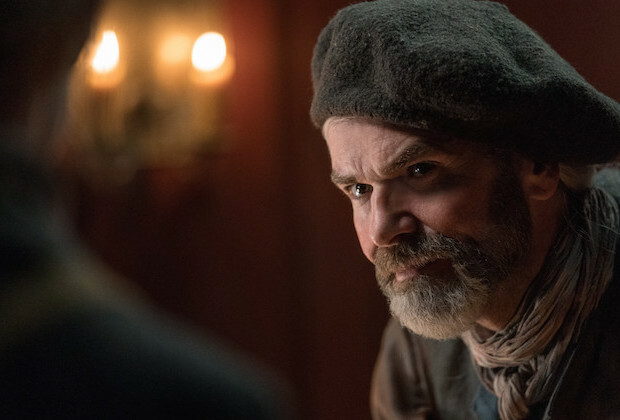 The post Outlander Cast: A. Malcolm – Episode 98 appeared first on Outlander Cast. 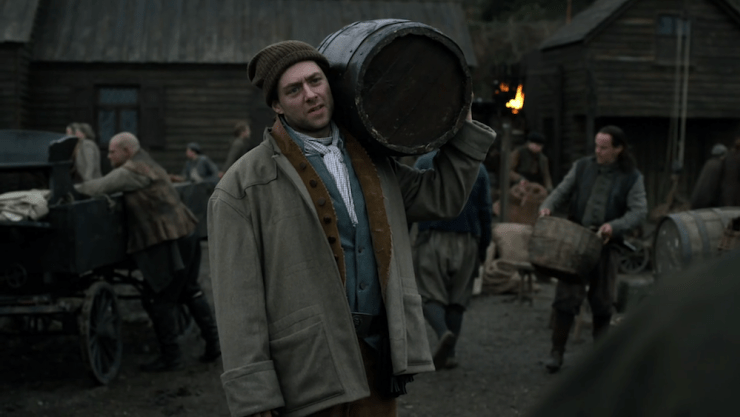 The post Outlander Cast: Freedom & Whisky – Listener Feedback – Episode 97 appeared first on Outlander Cast. 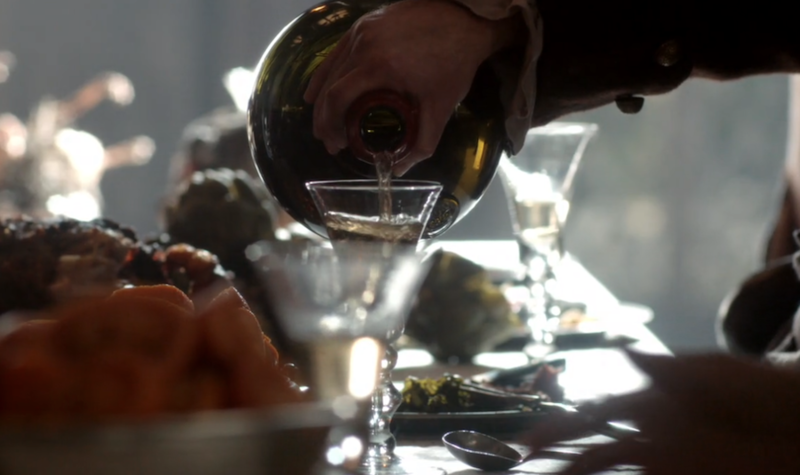 The post Outlander Cast: Freedom And Whisky – Episode 96 appeared first on Outlander Cast. 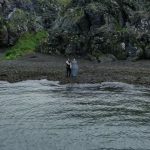 The post Outlander Cast Chats w/ Outlander Director of Photography: Stephen McNutt – Episode 95 appeared first on Outlander Cast. 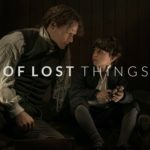 The post Outlander Cast: Of Lost Things – Episode 94 appeared first on Outlander Cast. 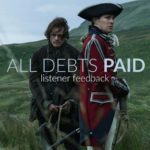 The post Outlander Cast: All Debts Paid – Listener Feedback/ Mary & Blake’s Take – Episode 93 appeared first on Outlander Cast. 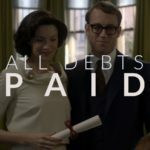 The post Outlander Cast: All Debts Paid (On Location With Outlander Cast Staff) – Episode 92 (fixed) appeared first on Outlander Cast. 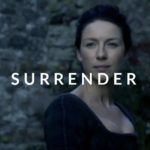 The post Outlander Cast: Surrender – Episode 90 appeared first on Outlander Cast. 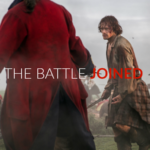 The post Outlander Cast: Season Three Premiere – The Battle Joined – Episode 88 appeared first on Outlander Cast. 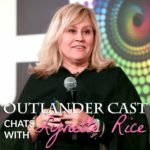 The post Outlander Cast Chats w/ Entertainment Weekly Writer: Lynette Rice – Episode 87 appeared first on Outlander Cast. 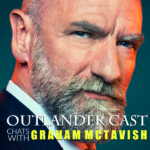 The post Outlander Cast Chats w/ Outlander Actor: Graham McTavish (Dougal Mackenzie) – Episode 86 #Gonelander V appeared first on Outlander Cast. 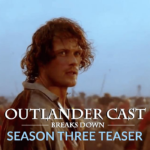 The post Outlander Cast Breaks Down The Outlander Season 3 Trailer – Episode 85 appeared first on Outlander Cast. 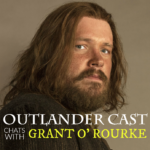 The post Outlander Cast Chats w/ Outlander Actor: Grant O’Rourke (Rupert Mackenzie) – Episode 84 #Gonelander IV appeared first on Outlander Cast. 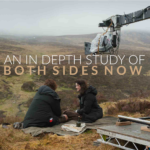 The post Outlander Cast: An In Depth Study Of Outlander Season 1 Mid Season Finale – ‘Both Sides Now’ – Episode 83 appeared first on Outlander Cast. 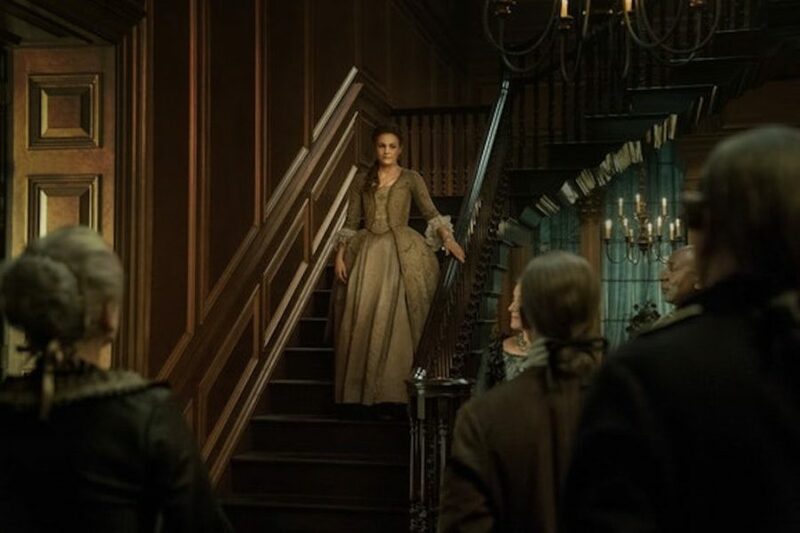 The post Outlander Cast: An In Depth Study Of The Outlander Premiere – ‘Sassenach’ – Episode 82 appeared first on Outlander Cast. 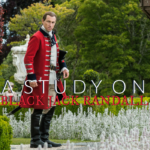 The post Outlander Cast: A Study On Black Jack Randall – Episode 81 appeared first on Outlander Cast. 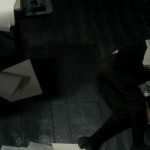 The post Outlander Cast: Mary and Blake Break Down The Season 3 Teaser – Episode 80 appeared first on Outlander Cast. 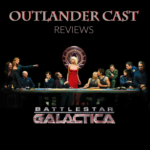 The post Outlander Cast: BONUS EPISODE – A Review Of Ron D. Moore’s Battlestar Galactica LIVE – Episode 79 appeared first on Outlander Cast. 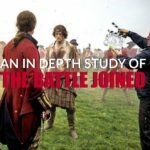 The post Outlander Cast: Season 3 – What We Know So Far. 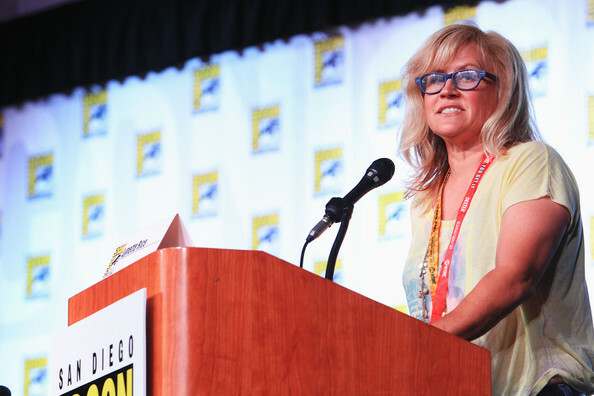 w/Special Guest Anne Gavin – Outlander Cast News Editor – Episode 78 appeared first on Outlander Cast. 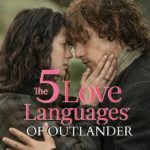 The post Outlander Cast: The Five Love Languages Of Outlander – Episode 77 appeared first on Outlander Cast. 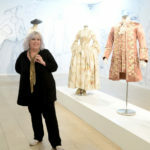 The post Outlander Cast Chats w/Outlander Costume Designer: Terry Dresbach – Episode 76 #Gonelander III appeared first on Outlander Cast. 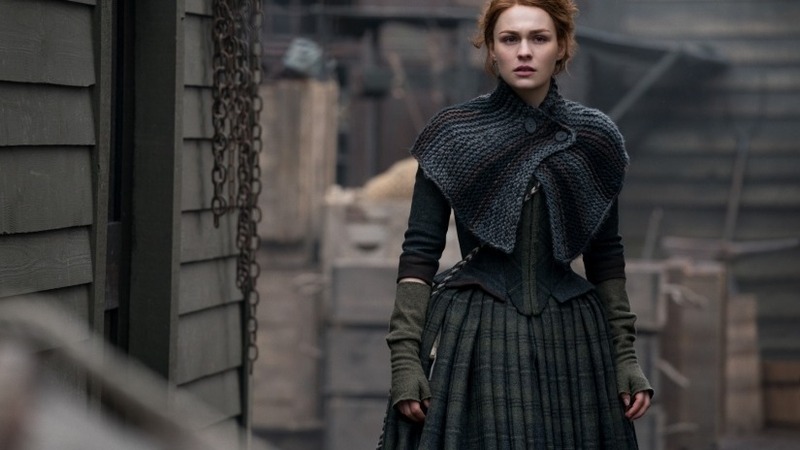 The post Xmas Special – Outlander Cast Chats w/Outlander actor: Annette Badland – Episode 75 #Gonelander II appeared first on Outlander Cast. 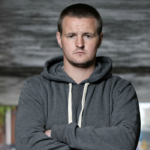 The post Outlander Cast Chats w/Outlander actor: Scott Kyle – Episode 74 appeared first on Outlander Cast. 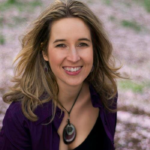 The post Outlander Cast Chats w/Making Of Outlander author: Tara D. Bennett – Episode 73 appeared first on Outlander Cast. 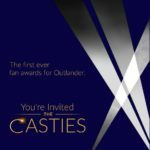 The post Outlander Cast: The CASTIES Awards – LIVE – Episode 72 appeared first on Outlander Cast. 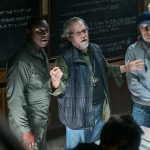 The post Outlander Cast: Season Two Wrap Up w/ Chief TV Critic of Collider.com – Allison Keene – Episode 71 appeared first on Outlander Cast. 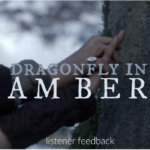 The post Outlander Cast: Dragonfly In Amber – Listener Feedback – Episode 70 appeared first on Outlander Cast. 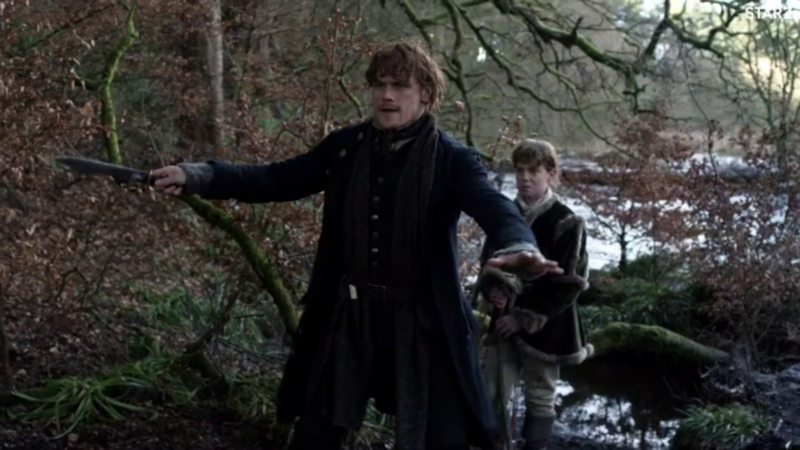 The post Outlander Cast: Dragonfly In Amber – Episode 69 appeared first on Outlander Cast. 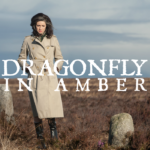 The post Outlander Cast: Clan Gathering Dragonfly In Amber LIVE Instant Take – Episode 68 appeared first on Outlander Cast. The post Outlander Cast: The Hail Mary – Listener Feedback – Episode 67 appeared first on Outlander Cast. 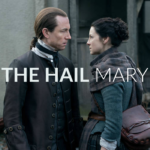 The post Outlander Cast: The Hail Mary – Episode 66 appeared first on Outlander Cast. 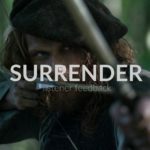 The post Outlander Cast: Vengeance Is Mine – Listener Feedback – Episode 65 appeared first on Outlander Cast. 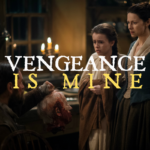 The post Outlander Cast: Vengeance Is Mine – Episode 64 appeared first on Outlander Cast. 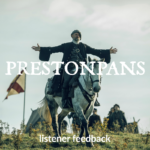 The post Outlander Cast: Prestonpans – Listener Feedback – Episode 63 appeared first on Outlander Cast. 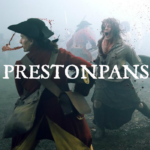 The post Outlander Cast: Prestonpans – Episode 62 appeared first on Outlander Cast. 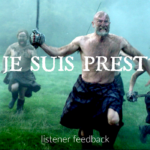 The post Outlander Cast: Je Suis Prest – Listener Feedback – Episode 61 appeared first on Outlander Cast. 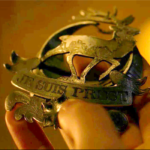 The post Outlander Cast: Je Suis Prest – Episode 60 appeared first on Outlander Cast. 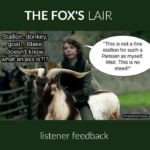 The post Outlander Cast: The Fox’s Lair – Listener Feedback – Episode 59 appeared first on Outlander Cast. The post Outlander Cast: Faith – Listener Feedback – Episode 58 appeared first on Outlander Cast. 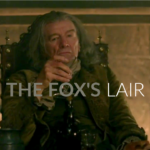 The post Outlander Cast: The Fox’s Lair – Episode 57 appeared first on Outlander Cast. 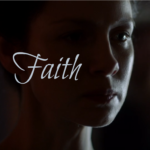 The post Outlander Cast: Faith – Episode 56 appeared first on Outlander Cast. The post Outlander Cast: Best Laid Schemes…- Listener Feedback – Episode 55 appeared first on Outlander Cast. 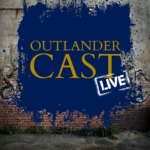 The post Outlander Cast: Best Laid Schemes…-Episode 54 appeared first on Outlander Cast. The post Outlander Cast: Untimely Resurrection – Listener Feedback – Episode 53 appeared first on Outlander Cast. The post Outlander Cast: Untimely Resurrection – Episode 52 appeared first on Outlander Cast. 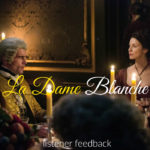 The post Outlander Cast: La Dame Blanche – Listener Feedback – Episode 51 appeared first on Outlander Cast. 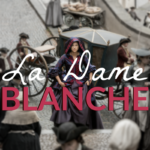 The post Outlander Cast: La Dame Blanche – Episode 50 appeared first on Outlander Cast. 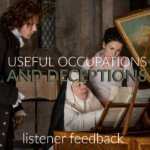 The post Outlander Cast: Useful Occupations and Deceptions – Listener Feedback – Episode 49 appeared first on Outlander Cast. 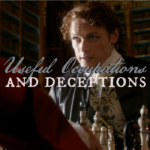 The post Outlander Cast: Useful Occupations And Deceptions – Episode 48 appeared first on Outlander Cast. The post Outlander Cast: Not In Scotland Anymore Listener Feedback – Episode 47 appeared first on Outlander Cast. The post Outlander Cast: Not In Scotland Anymore – Episode 46 appeared first on Outlander Cast. The post Outlander Cast: Through A Glass, Darkly Listener Feedback – Episode 45 appeared first on Outlander Cast. The post Outlander Cast: Through A Glass Darkly – Episode 44 appeared first on Outlander Cast. 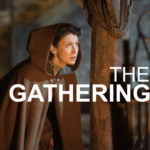 The post Outlander Cast: The Clan Gathering – LIVE STREAM – Season 2 Premiere “Through A Glass Darkly” Instant Take – Episode 43 appeared first on Outlander Cast. 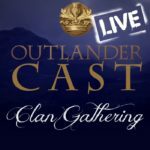 The post Outlander Cast: The Clan Gathering – LIVE STREAM – Season 2 Premiere Pregame Show – Episode 42* appeared first on Outlander Cast. 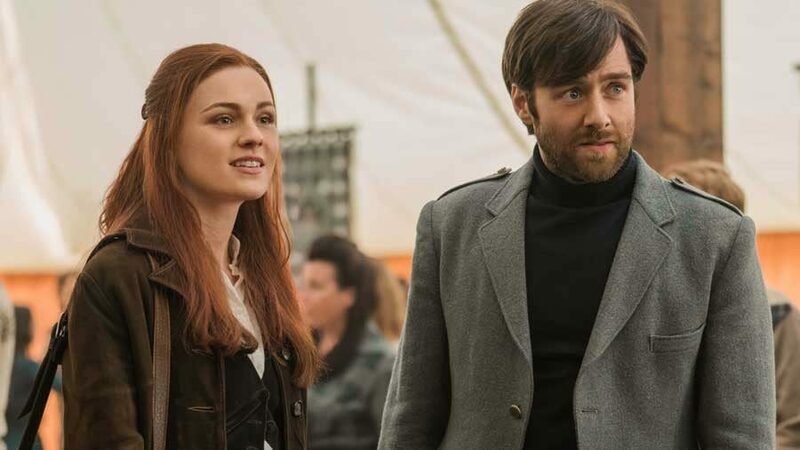 The post Outlander Cast – LIVE STREAM 3.0 – Top 5 Favorite Things About Outlander Season 1 – Episode 41 appeared first on Outlander Cast. 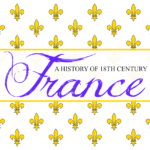 The post Outlander Cast: 18th Century France History Lesson – Episode 40 appeared first on Outlander Cast. 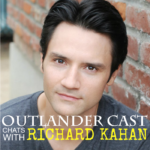 The post Outlander Cast Chats w/ Outlander Writer’s Assistant/Writer Richard Kahan – Episode 39 appeared first on Outlander Cast. 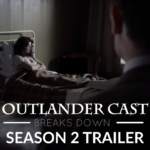 The post Outlander Cast Breaks Down The Outlander Season 2 Trailer appeared first on Outlander Cast. 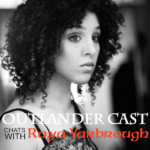 The post Outlander Cast Chats w/Outlander Vocalist Raya Yarbrough – Episode 37 appeared first on Outlander Cast. 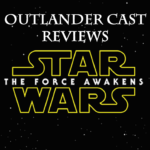 The post Outlander Cast: BONUS EPISODE – A Review Of Star Wars The Force Awakens – Episode 36 appeared first on Outlander Cast. 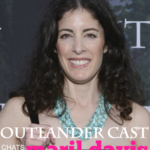 The post Outlander Cast Chats w/Outlander Executive Producer Maril Davis – Episode 35 appeared first on Outlander Cast. 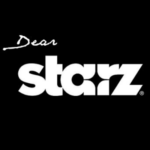 The post Outlander Cast: Blog Reading – An Open & Honest Letter To Starz – Episode 34 appeared first on Outlander Cast. 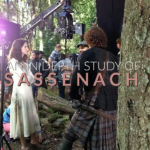 The post Outlander Cast: Blog Reading – What’s It All About, Outlander? 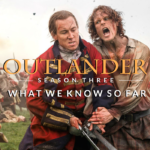 – Episode 33 appeared first on Outlander Cast. 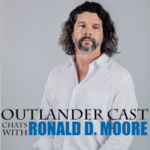 The post Outlander Cast Chats w/Outlander Showrunner Ronald D. Moore – Episode 32 appeared first on Outlander Cast. 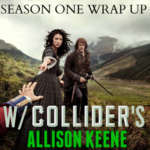 The post Outlander Cast: Season One Wrap Up w/ Chief TV Critic of Collider.com – Allison Keene – Episode 31 appeared first on Outlander Cast. 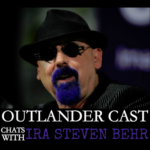 The post Outlander Cast Chats w/ Outlander Executive Producer/Writer Ira Steven Behr – Episode 30 appeared first on Outlander Cast. 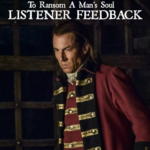 The post Outlander Cast: To Ransom A Man’s Soul (Part 2 – Listener Feedback) – Episode 29 appeared first on Outlander Cast. 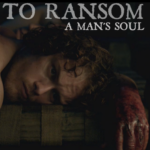 The post Outlander Cast: To Ransom A Man’s Soul – Episode 28 appeared first on Outlander Cast. 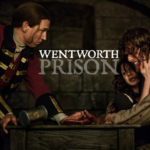 The post Outlander Cast: Wentworth Prison (Part 2) – Episode 27 appeared first on Outlander Cast. 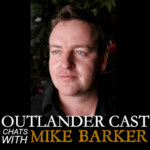 The post Outlander Cast Chats w/ Outlander Director: Mike Barker – Episode 26 appeared first on Outlander Cast. 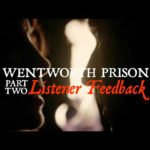 The post Outlander Cast: Wentworth Prison – Episode 25 appeared first on Outlander Cast. 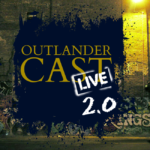 The post Outlander Cast: The Search – Episode 24 appeared first on Outlander Cast. 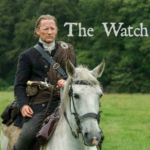 The post Outlander Cast: The Watch – Episode 23 appeared first on Outlander Cast. 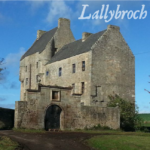 The post Outlander Cast: Lallybroch – Episode 22 appeared first on Outlander Cast. 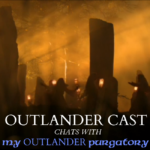 The post Outlander Cast Chats w/ Tracey & Carol from My Outlander Purgatory – Episode 21 appeared first on Outlander Cast. 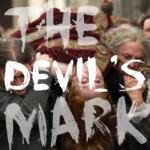 The post Outlander Cast: The Devil’s Mark – Episode 20 appeared first on Outlander Cast. 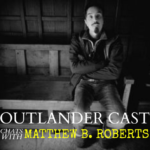 The post Outlander Cast chats w/Outlander Writer/Producer: Matthew B. Roberts – Episode 19 appeared first on Outlander Cast. 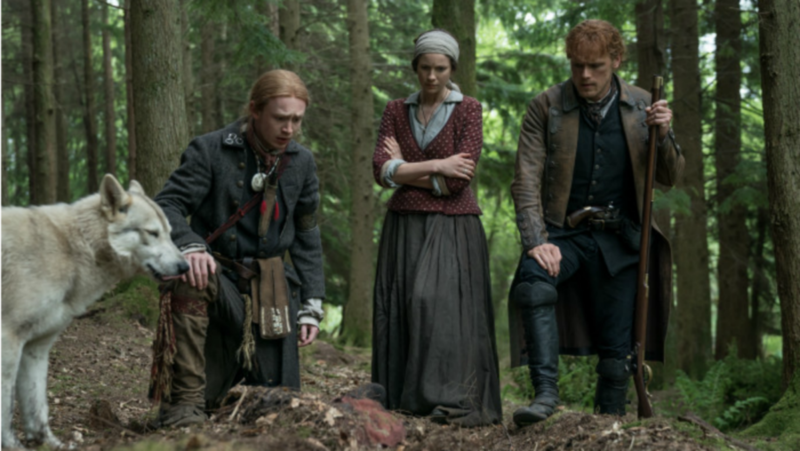 The post Outlander Cast: By The Pricking Of My Thumbs – Episode 18 appeared first on Outlander Cast. 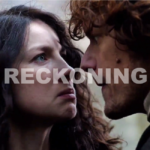 The post Outlander Cast: Reckoning – Episode 17 appeared first on Outlander Cast. 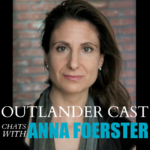 The post Outlander Cast chats w/ Director Anna Foerster – Episode 16 appeared first on Outlander Cast. 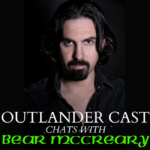 The post Outlander Cast Chats w/Outlander Composer: Bear McCreary – Episode 15 appeared first on Outlander Cast. 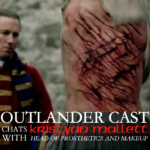 The post Outlander Cast Chats w/ Head Of Prosthetics & Makeup: Kristyan Mallett – Episode 14 appeared first on Outlander Cast. 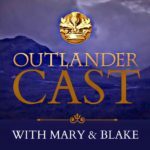 The post Outlander Cast – LIVE STREAM 2.0 – Get To Know Mary & Blake + 2014 In Review : Episode 13 appeared first on Outlander Cast. 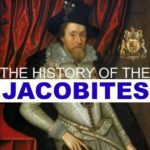 The post Outlander Cast: Jacobite History Lesson – Episode 12 appeared first on Outlander Cast. The post Outlander Cast – LIVE STREAM – Top 5 Favorite Things About Outlander Season 1A appeared first on Outlander Cast. 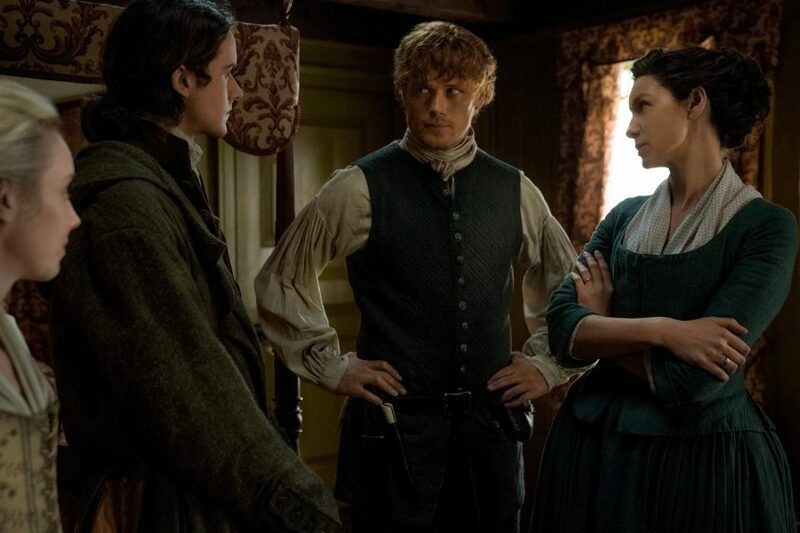 The post Outlander Cast: Both Sides Now – Episode 10 appeared first on Outlander Cast. 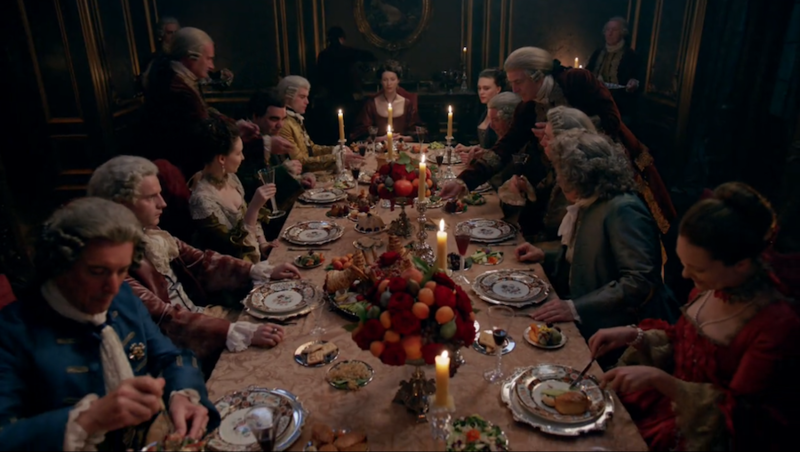 The post Outlander Cast: The Wedding – Episode 9 appeared first on Outlander Cast. 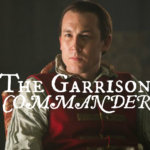 The post Outlander Cast: The Garrison Commander – Episode 8 appeared first on Outlander Cast. 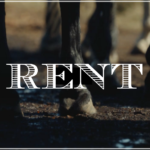 The post Outlander Cast: Rent – Episode 7 appeared first on Outlander Cast. 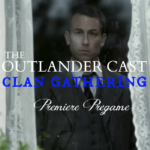 The post Outlander Cast: The Gathering (part 2) – Episode 6 appeared first on Outlander Cast. 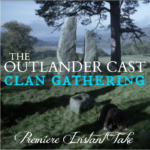 The post Outlander Cast: The Gathering – Episode 5 appeared first on Outlander Cast. 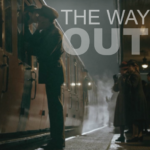 The post Outlander Cast: The Way Out – Episode 4 appeared first on Outlander Cast. 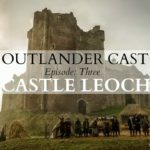 The post Outlander Cast: Castle Leoch – Episode 3 appeared first on Outlander Cast. 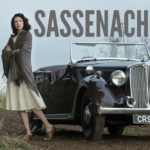 The post Outlander Cast: Sassenach – Episode 2 appeared first on Outlander Cast. 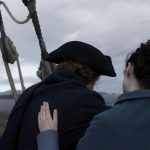 The post Outlander Cast: Pilot – Episode 1 : A Podcast Dedicated to Outlander on Starz appeared first on Outlander Cast.